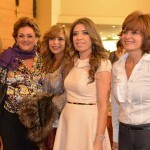 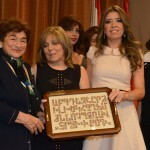 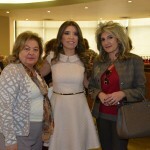 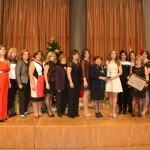 AGBU Lebanon Ladies Auxiliary, for the 31st consecutive year, organized the “Armenian Traditional Annual Christmas Bazaar” at AGBU Demirdjian Center, Dbayeh. 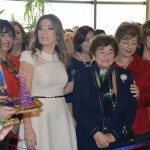 The bazaar was inaugurated by Mrs. Lucy Tutunjian on December 12, 2014 and continued over the weekend. 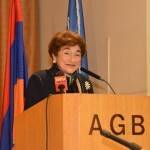 Benefactors, political and public figures were in attendance. 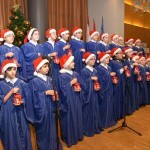 The inauguration was ensued with the participation of AGBU Lebanon Schools’ Choir, who by their amazing performance spread the joyful Christmas spirit. 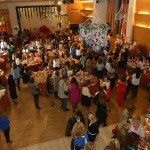 The bazaar attracted a big crowd who came to enjoy the ongoing entertainment programs and purchase from the large collection of Armenian traditional food and pastries.